Pretty damn awesome debut LP by a sorely underrated band from Swindon, the same English city that was home to XTC. 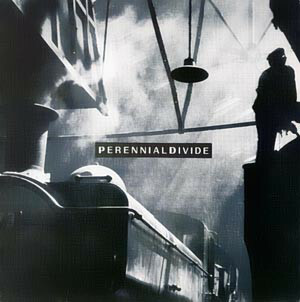 Perennial Divide (look that up) had some sonic sympathy with other post-punk/industrial bands from the mid-80s, like The Box, Hula, the Pop Group and Clock DVA; aggressive dub cut-ups and desperate yelping vocals over a bed of noise. Released on Sweatbox in 1986. It was reissued on CD in 2007 in a far inferior version that had the vocals removed. The singer, John Corrigan, would later make a goofy record under the name Meat Beat Manifesto, which became so successful that it eclipsed his other band and continues to this day.